On the night of Oct. 8, 2015, a photographer in Harstad, Norway captured this image of the dancing northern lights. Auroras are created when fast-moving, magnetic solar material strikes Earth's magnetic bubble, the magnetosphere. This collision rattles the magnetosphere in an event called a geomagnetic storm, sending trapped charged particles zooming down magnetic field lines towards the atmosphere, where they collide brilliantly with molecules in the air, creating auroras. 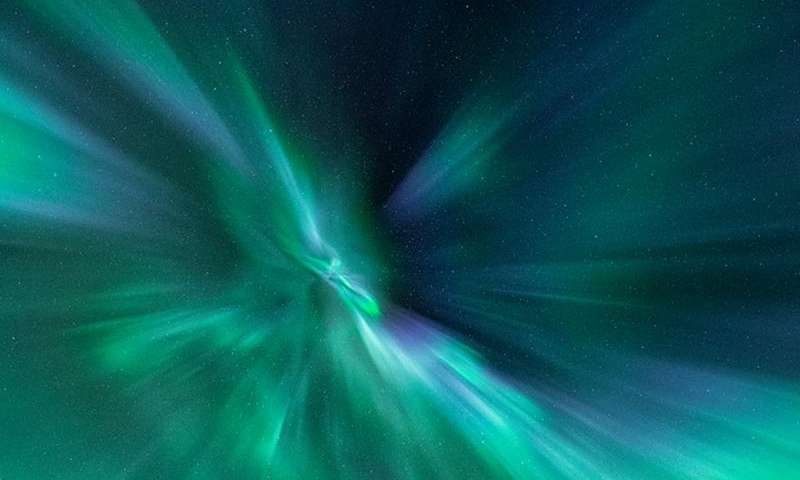 "Geomagnetic storms caused by high-speed solar wind streams aren't uncommon," said Leila Mays, a space physicist at NASA's Goddard Space Flight Center in Greenbelt, Maryland. "Near solar minimum—when solar activity like CMEs are less frequent—these fast streams are actually the most common cause of geomagnetic storms that create auroras."